Cannabis essential oil may be among the most uncommon essential oils. It comes from hemp and cannabis, which has complicated legalities in many areas of the world. Even so, there are a wide range of cannabis oil benefits. In fact, it is widely regarded as among the most effective essential oils for alleviating certain conditions and illnesses. To get cannabis essential oil, you use steam distillation to extract it from the upper leaves and flowers of cannabis plants. This essential oil appears green and is highly volatile. Its component parts are incredibly powerful, including highly active organic compounds like sesquiterpenes and monoterpenes. The following are just some uses of this essential oil. Perhaps the best known and most popular cannabis oil use is relieving anxiety and stress. The oil’s natural compounds, including the THC, help release pleasure hormones. This induces a feeling of relaxation and calm while reducing stress. Those with constant nighttime anxiety or insomnia or even those who just can’t get undisturbed and restful sleep will typically experience relief with cannabis essential oil. It relaxes the mind and body while inducing a lower level of energy. This helps you lower your heart rate and clear your head, both of which contribute to quality sleep. Most people have heard about the link between other forms of cannabis and getting hungry. When it comes to the essential oil, cannabis can regulate your appetite plus induce hunger. At the same time, it stimulates the digestive system so it operates at regular levels. This is useful for those trying to quickly gain weight, such as following an injury or extended illness. One of the cannabis oil uses is relieving pain, which is why it is frequently suggested for those with chronic pain and inflammation as well as for emergency pain relief. This is why those suffering from cancer appreciate cannabis oil; it can relieve the pain of the disease or chemo. More research still needs to be done, but current and ongoing research seems to indicate that cannabis oil’s active ingredients can help prevent cancer. They have also been linked to reducing the size of tumors, helping those with the disease increase their odds of beating it. The volatile oils within cannabis essential oil can balance negative oils in the system, improving heart health. Additionally, it can stimulate antioxidant processes, removing excess cholesterol and improving overall cardiovascular health. This essential oil can also protect the skin. You can get this benefit by applying it externally or consuming it. Additionally, cannabis oil will stimulate dead skin shedding plus the regrowth of healthy skin more quickly. It can even prevent signs of aging like wrinkles and protect against psoriasis and eczema. Cannabinoids also produce lipids, substances that can treat dry skin, acne, and dandruff. Cannabis oil even has benefits for the health of your hair. Many people experience relief from headaches and even migraines by applying cannabis essential oil topically at the area where the pain is most intense or at the temples. This is one of the cannabis oil uses that can help people live a normal life. Both cannabis essential oil and cannabis have been connected to preventing macular degeneration and reducing glaucoma. In fact, eye health is among the most common reasons for people to choose cannabis essential oil as they get older. Cannabis oil may actually be an effective natural solution for those suffering from asthma. Between its anti-inflammatory properties and the analgesic effects like diluting bronchial tubes to let oxygen flow better, its benefits for asthma make sense. Taking advantage of the cannabis oil uses and medicinal properties doesn’t have to be a challenge. Cannabis oil will typically be mixed with a liquid because it is so potent or simply ingested using an oral syringe. 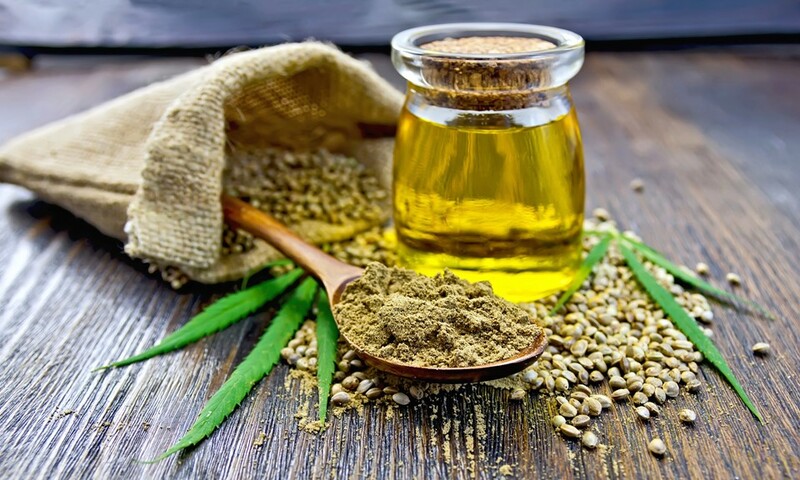 While there are many benefits and uses of cannabis essential oil, you should still remember that it is a powerful chemical substance that comes from a plant containing psychotropic substances. Because of this, you need to exercise caution when using the oil, including when and how you use it as well as the quantity. Ideally, you should start small and increase the dosage if necessary. You also need to consult a health specialist since many countries have restrictions or a complete ban on cannabis, including its essential oil. For some, cannabis oil can lead to a decrease in memory, concentration, or the ability to think and learn. You should not mix it with any other medications without talking to a doctor. Never pair it with seizure medications, muscle relaxers, pain relievers, anxiety medications, or antidepressants without doctor supervision as this can lead to fatigue and drowsiness. Those who are pregnant or may become pregnant should never use any cannabis product, including the essential oil. Some evidence shows that women using cannabis while pregnant or at conception may have an increased risk of their child having a low birth weight or birth defects. Don’t use it while breastfeeding either. Remember that not all cannabis strains are equal. Always buy cannabis essential oil that is made by a reputable company with lab testing. Always obtain it legally and safely to limit side effects.